People choose to stay at the Los Olivos apartments for a whole host of reasons, and it’s understandably one of the most popular communities at La Manga Club Resort. One major plus point is that it’s located close to the centre of the resort, meaning many amenities are just a stone’s throw away. Another draw is the amazing views, imagine waking up to vistas over the Mar Menor and surrounding area – what better way to start your day? Private balconies mean spending time outdoors is easy, enabling you to kick back and relax with a glass of vino in your hand. One of the resorts stunning abodes is this luxurious ground floor apartment that features two large bedrooms, one of which is en-suite. If you’re looking for a truly relaxing getaway, This Penthouse apartment could well prove the perfect retreat. 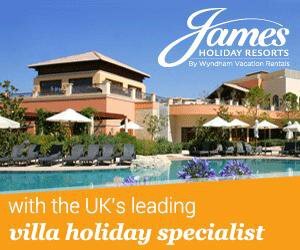 Giving you access to top quality facilities of La Manga Club Resort no matter what time of year you choose to visit. Centrally located on the Resort, this luxury penthouse apartment offers the best in stylish holiday accommodation with excellent facilities and easy access to the golf, bars and restaurants. This apartment provides modern, first floor accommodation and is ideal for families, ideally located for maximum sunshine, panoramic views over the Mediterranean, and first-class resort facilities. Centrally located luxury apartment at La Manga Club Resort within easy reach of all the resort’s top quality amenities and sporting facilities. This superb luxurious first floor, three bedroom apartment, including one full en-suite bathroom. The lounge and dining room, as well as all three bedrooms are air conditioned, and wi-fi is free of charge. A beautiful first floor apartment featuring tthree bedrooms, including one en suite, this spacious, apartment affords stunning views across the La Manga resort, to the Mar Manor lagoon. A luxurious, three bedroom first floor apartment fully air conditioned throughout with access to a heated, indoor pool, jacuzzi, and the two outdoor community pools. This beautiful holiday home is a luxurious, modern first floor apartment, the lounge/diner and all three bedrooms feature air conditioning units, plus rapid wireless internet is also included. An excellent luxurious ground floor apartment, featuring two bedrooms, one of which is en-suite and enjoys excellent views over the resort and to the Mar Manor lagoon beyond. This second floor penthouse rental apartment features a large balcony, which makes the most of the wide views over the entire La Manga resort and surrounding countryside. This luxury apartment enjoys a central location within La Manga Club close to the tennis centre, with views across the Menor lagoon. Its three bedrooms and two bathrooms, making it ideal for families and small groups. More Los Olivos rental accommodation* available at from £62 per night. Los Olivos residents also benefit from two outdoor communal pools, as well as an indoor pool and spa. Cool off in the water or start your daily routine with a swim, the choice is yours! Each area of Los Olivos contains six apartments. Two-bedroom units are located on the ground floor, before moving up to three-bedroom units in the centre, and two-bedroom penthouses with front and rear roof terraces. You will be glad to hear that each property has air conditioning throughout, which is sure to come in handy during those balmy summer days. All apartments are fully equipped, but with more than 20 restaurants and bars nearby, you will probably find yourself eating and drinking with the locals most of the time! Close to Los Olivos is the La Manga tennis centre and children’s club, but many of the other services La Manga Club Resort has to offer are never too far away. What’s more, you can be at Murcia’s San Javier Airport in little time at all, so you can maximise your time in the Spanish sunshine. These well-equipped properties are the perfect way to make the most of all that Spain has to offer on your 2018 holiday, no matter whether you’re travelling alone or with family and friends.